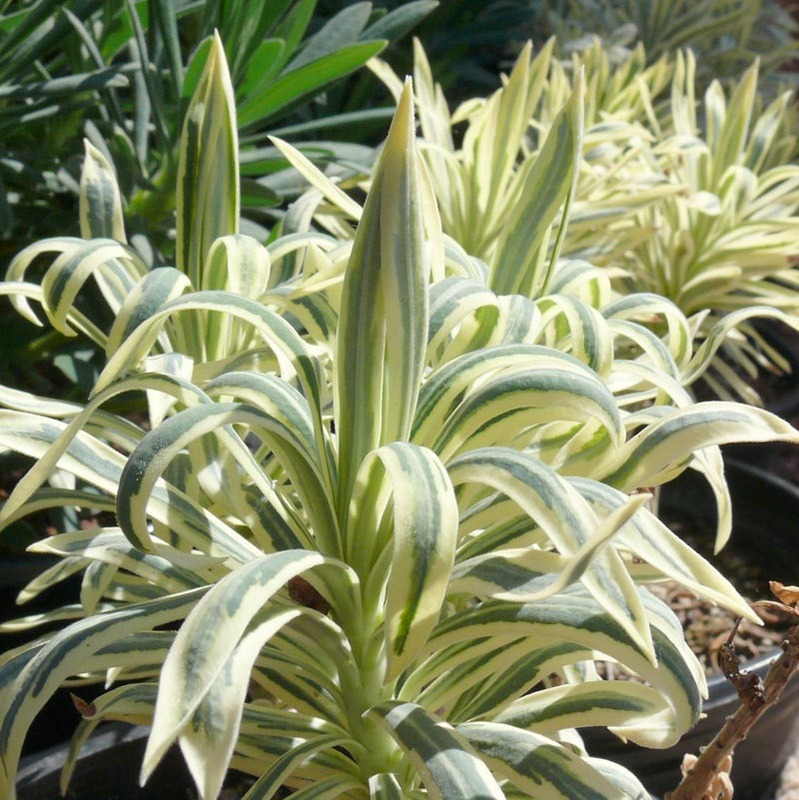 Variegated leaves with green centers and white margins. Blooms in summer. Deer and gopher resistant.